Enhance your outdoor setting instantly with a touch of class from the perfect outdoor lighting. Add style to your entertaining space, elegance to your pathways or alfresco areas or raise the security of your home with a set of modern, traditional or practical garden lights. Everlast are experts in landscape design & installation, and can help you choose the right lighting to take your yard to the next level. 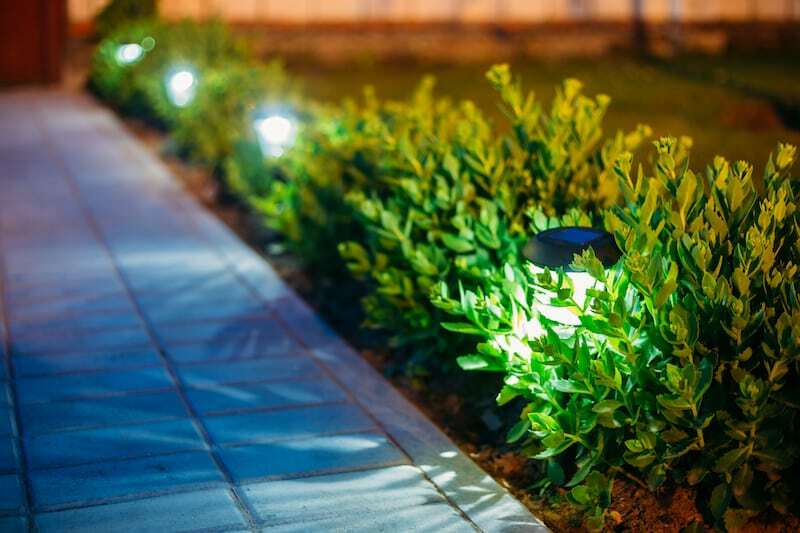 We have been creating beautiful and stunning gardens for our customers in Melbourne for over 20 years, and have the right knowledge and expertise to help you select, install and maintain your outdoor lighting for longer. Come and browse our extended range of the latest in modern and contemporary designs, traditional and period lighting, and custom styles. Our outdoor lighting products are all made with the highest quality of glass, ceramics and steel, with settings for every environment and fit-out. Whatever your project, we have the knowledge and experience to make your grandest outdoor vision a reality. Everlast Services are a family owned and operated company with our own factories here in Hoppers Crossing. We can stand by the quality of our products and workmanship 100%, so you can rest assured you’re working with the best. For all your lighting and landscaping needs, look no further than Everlast. Why Choose Everlast For Outdoor Lighting? Everlast have over 20 years of professional experience creating stunning outdoor areas for residents in Melbourne. We know exactly what it takes to bring your vision to life, and can help you make it happen. We are 100% family owned and operated, based locally in Hoppers Crossing. Everlast prides itself on personalised service and playing an active part in the community. Call us anytime for advice or chat to us about your next project. Everlast are experts in more than just lighting and landscaping. We are the local leaders in concreting, decking, fencing and more. We are your number one destination for all things outdoors, delivering you better value and convenience. Our steel products are manufactured at our cutting-edge factory right here in Hoppers Crossing. We build everything ourselves to strict quality standards for good old fashioned Australian toughness, durability and long-lasting wear.